Dahlia ornate 36X24 framed bevelled mirror. 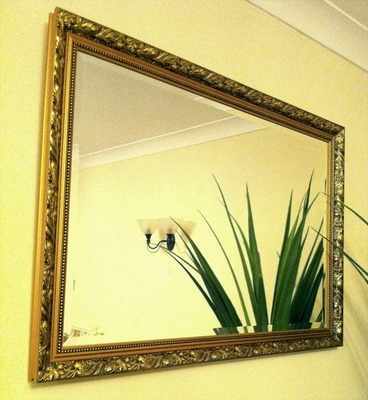 An ornate frame for a traditional style available in gold or silver, with a quality bevelled mirror. Overall size.102X71cm. Dahlia ornate 36X24 framed bevelled mirror. A quality wooden core moulding with an ornate traditional style available in gold or silver, with a quality bevelled mirror.